Please note: Deadline for registration is Friday Nov.16! Following our hugely successful tradition of celebrating composers' days, Shruti Laya cordially invites you to participate in our Eleventh annual Composers day. This will be held on Saturday Dec.1 2018 at the QHST auditorium. Please send your student groups to participate, and make this a successful program as always! 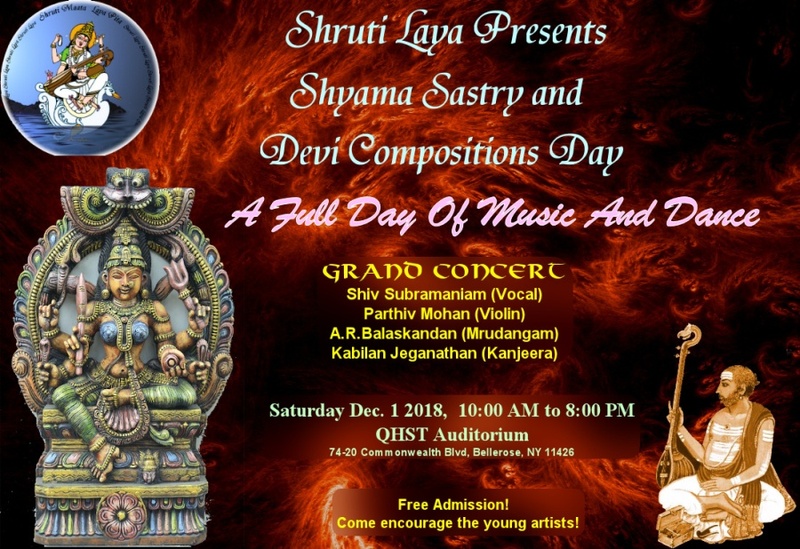 This year's composers day will celebrate the compositions of Shyama Sastry, as well as Devi compositions by other composers. 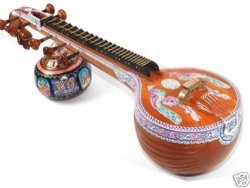 These can range from Trinity compositions (Sree Saraswathy, Nanuganna Talli etc.,) to Twentieth century compositions (P.Sivan, HKM etc.,), in any language or form. The wide range of compositions available means that there will be something suitable for beginners and for experts! As usual, this will be a full day program and all students and artists are invited to perform in groups (music or dance) at this event. There will be a participation fee of $5 per artist. There will also be an opportunity for two or three solo mini concerts or dance performances of about 20 minutes each. Only compositions on the Goddess in any of her forms (Parvati, Lakshmi, Saraswathi), preferably Shyama Sastry but can be any composer. Each teacher's group will be allowed 15 minutes. Larger groups (6 or more members) can extend up to 20 minutes. 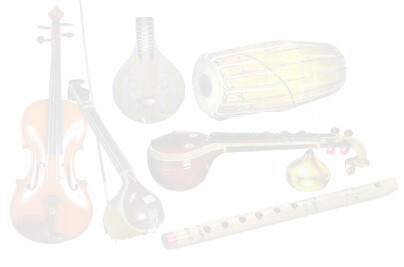 Accompanists: Participants are free to arrange their own accompanists (violin/mrudangam). There are also likely to be music students who want to accompany, so please let us know if you want us to arrange accompaniments. As usual, we would like to avoid repetition. Please scroll through the list below, to make sure your choice of Krithis is not already taken. We now have semi-automatic registration for the event. Please fill out the form below for the items that you wish to perform (separate form for each Krithi) and click Submit. After we review the submissions (usually in a couple of days), they will be added to the list. We will reach out to you if the song you selected has already been allocated to someone else (if they requested the same song ahead of you). Note that your song will not automatically appear in the list above. This will happen after manual verification, usually within a day or two. human who is really interested in participating!